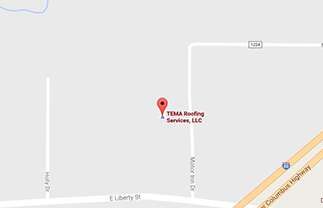 Call TEMA Roofing’s 24-hour emergency commercial roof repair line at 330-272-0988 for prompt response to your roof leaks and other roofing issues. Our responsive team will dispatch a technician to your site within 24 hours to quickly assess your roof and make necessary repairs on the spot. For non-emergencies, we’ll be on-site within three days. Priority Level A: Emergency – Shall be defined as anything which could physically endager an employee, customer, the physical building, and/or cause an extreme product loss. Customer Priority Level A Emergency service calls are to be responded to (on-site) within 4-8 hours as specified by the Customer contact person. This includes all service calls made on weekends or holidays by the Customer contact person or answering service. Priority Level B: Emergency – Shall be defined as anything, which is not classified under Priority Level A. Customer Priority Level B Emergency service calls are to be responded to (on-site) within 24-48 hours as specified by the Customer contact person. This includes all service calls made on weekends or holidays by the Customer contact person or answering service.